2011, Hugh Jackman, Evageline Lilly, Dakota Goyo. Directed by Shawn Levy. When you see this movie I dare you not to think about the iconic plastic robot boxers that baby-boomers go into fits of nostalgia about. You know the ones – Rock ‘Em Sock ‘Em Robots. “You knocked his block off!” The plastic “athletes” were operated by plastic controllers consisting of joysticks equipped with thumb-operated plastic plunger buttons at the base of the plastic platform. Each of their boxing matches lasted an average of about 5 seconds. Every time I ever played with one of these things as a child it seemed that one of the plastic boxers was at a serious disadvantage due to a faulty spring in his neck which caused his head to pop up a nanosecond after the other robot came within a whisker of hitting him. In a primitive way it was a foreshadowing of the dawn of video games where the player controlled all the action on a TV screen with a joystick and/or buttons and winning was more about thumb speed and dexterity than anything else. Fast forward a few decades into the not-so-distant future and imagine that the concept of surrogate boxers has evolved into a system where sophisticated robotic opponents controlled by master video game players pound each other to pieces – literally. No human fighters are at risk of injury but the desire to see anthropomorphic machines bob, weave, throw punches, and take a beating is every bit as entertaining and possibly even more lucrative than when humans squared off against each other in the boxing ring. The World Robot Boxing league features championship fights in dazzling state-of-the-art arenas and there is also a thriving underground of down-and-out has-beens who fight local favorites for rent money while bookies make a killing. Charlie Kenton (Hugh Jackman) is a down-and-out has-been former boxer who takes his well-worn yet serviceable boxing robot to local small-town venues making barely enough money to survive one day at a time. Always wagering against impossible odds, he has gotten himself into so much debt that numerous threats have been made against his life. After a spectacular defeat that leaves him with no robot and no options, he learns that he is to be the sole caretaker of the son he hasn’t seen or been in contact with in 10 years. Charlie, prepared to quickly sign over custody of the boy to a loving aunt, sees an opportunity to make some fast cash and then abandon him yet again. But Max, his son, has a different idea. While the two search through a scrap heap for enough spare parts to bolt together a fighter, Max stumbles upon a discarded, outdated robot that he drags home. Charlie insists that the bot is too small and underpowered to fight effectively, but Max, every bit as stubborn as his father, is determined to prove otherwise. The pair embark on a journey that starts with the robot exhibiting some surprising talent that, with a little luck and a lot of heart, just may take them to the pinnacle of success. Along the way the two get to know each other, the pretty lady in Charlie’s life gets to impart her special words of wisdom, and the bad guys get what’s coming to them. This film can be described as Rock ‘Em Sock ‘Em Robots meets Transformers meets Rocky Balboa, but that would be selling it short. Thanks mainly to Hugh Jackman as the cynical underdog who never quite reached his full potential as a boxer, the story unfolds in a refreshing, stylish, exciting, and engaging way. The special effects are spectacular, as we have come to expect, and the human element is not missing here as it was from Transfomers; in this one the robots mirror the personalities of their owner/operators, so we come to see them as a team. Real Steel is tried-and-true action-packed family entertainment that is highly imaginative, exceptionally well-acted, and well worth seeing on the big screen. This entry was posted in Movies and tagged action, Boxing, family, Hugh Jackman, robots, sports by S.D. McPhail. Bookmark the permalink. Hi Mermon! 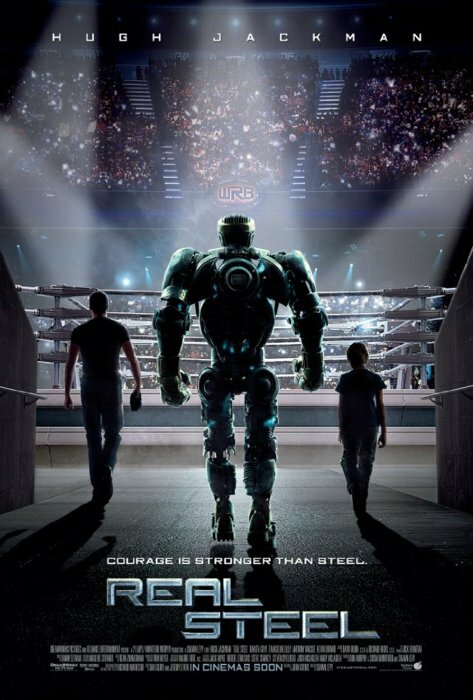 Real Steel is great family entertainment packed with enough fast-paced action to give the adults a great viewing experience too. Thanks for the review. I did not like Transformers, but I always enjoy Hugh. I might give it a try. 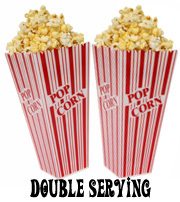 Plus my husband enjoys these type of movies. So it will be in his list. Hi Eureka! I know what you mean – I thought the first Transformers movie was okay and I do like Shia LeBeouf. But the next two were just missing the mark. Real Steel stayed focused on the human relationships and Hugh Jackman deserves most of the credit for making it work so well.